Too often a Mediterranean holiday is accompanied by international food and waiting staff and imports from Northern Europe. These might make you feel at home but surely the idea of a holiday is to experience something really different. Well if you like the Med, the Greek Islands and the memory of what a Greek Island holiday ought to be then try this. 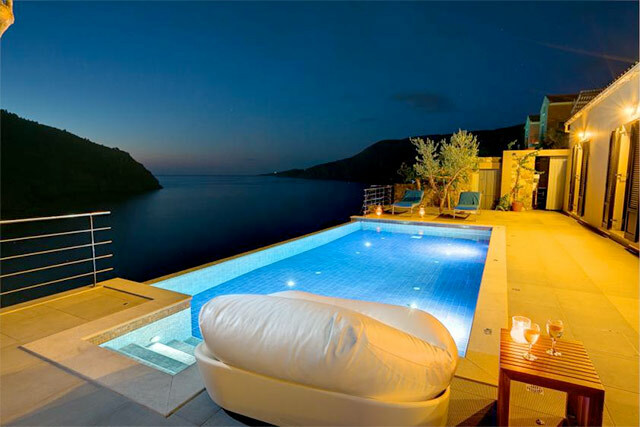 Villa Thea Beach house is situated at the end of a long bay in the village of Lourdata in Southern Kefalonia. Kefalonia, made famous by Captain Corelli’s Mandolin is a beautiful Island with the picture postcard town of Fiskardo probably its most famous town. 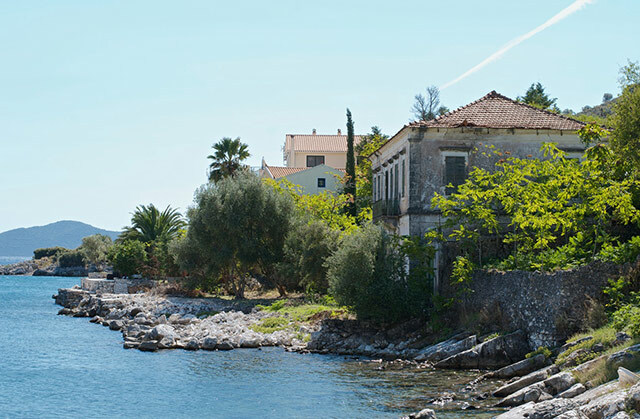 Fiskardo survived the earthquake of 1953 which wrecked the southern part of the Island but lost much of its original inhabitants and charm. Lourdata or Lourdas may have lost its buildings but its people, traditions and old Greek charm have survived. A 30 minute drive through some charming villages will bring you to the village of Lourdas where the road spills down the mountainside and deposits you on the beach. Here you turn right and drive along the promenade past allotments growing tomatoes and courgettes, villas bordering the sea and a handful of family run tavernas which serve some of the best food you will have eaten in Greece. Villa Thea is at the end of the promenade up a short concrete path. It has been designed for outside living and whilst it boasts three en suite bedrooms it is best enjoyed from the terraces and the pool which overlook the Ionian Sea. The pool is just great but a short walk, I mean really short, will take you to the beach which is unspoilt and has the endorsement of the Loggerhead Turtles who lay their eggs in the sand in early summer. A quick dip in the sea, back to the villa for a shower and you are ready for some of the great food on offer along the beach. One of the must visit restaurants is luckily about a two minute walk. You can see the restaurant from the terrace of the villa and if you are up early you can watch the fishing boat return with the catch that provides the menu for the day. 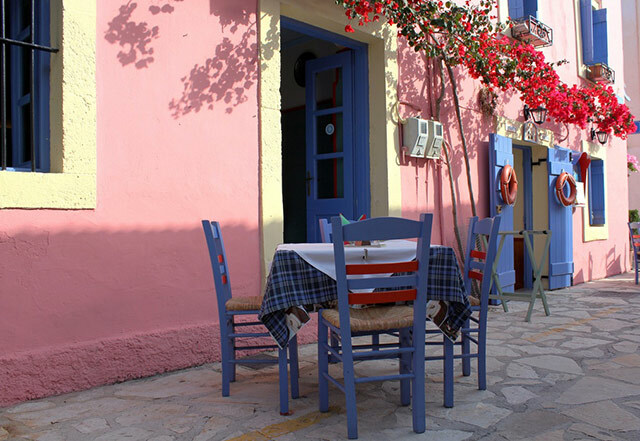 The Taverna is called Lithero and is run by a local family who fish and wait at table. After ordering a cool beer, you can ask what fish is available that day and be delighted with plates of freshly cooked fish from the tiny fish cooked in a light coating of flour through sardines sea bass or freshly caught swordfish or Tuna. Truly a great taste of the fruits of Neptune’s larder. Fortunately the Kefalonian folk also make very good local wine which goes really well with the fish and helps cool the effects of the noonday sun. CBR car rentals at the airport will rent you a car at a really reasonable rate without all of the usual excesses demanded by the international brands and you can use this to explore the other towns of the south coast. Each with their character and identity but not quite up to the delightful unspoilt charm of Lourdas. We stayed there a week and seldom left the place choosing to walk along the beach with the setting sun beckoning us to the next Taverna on the list. The Lourdas Mare is a charming wooden framed structure on the beach with great food and service with Klimatis just a little further along again great food and a great team with the bonus of a nearby mini market to stock up with anything you need to keep the holiday spirit going. 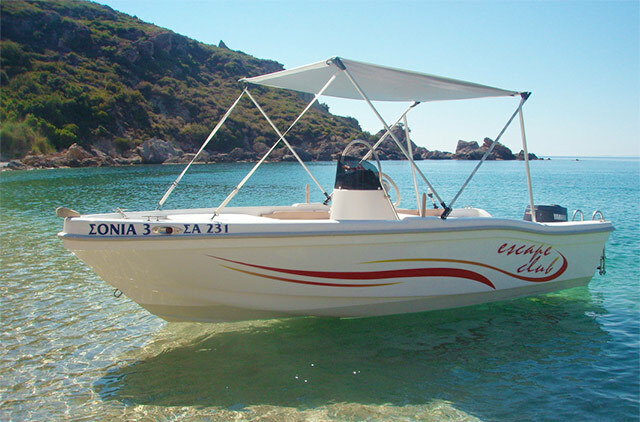 If you choose to venture further afield the Escape Club will rent you a motor boat to explore the coastline whilst Captain Vangelis will take you on a cruise to Zakynthos from nearby Skala. If you don’t mind driving at night, or taking a taxi a visit to one of the many towns on their saint’s feastday is a must. We went to witness the procession at Agia Efimia where the whole town prepares to celebrate their patron saint. Relics are paraded along the harbour front with young and old in procession many in their traditional dress. After a a few prayers Aghia Efimia will return to the town church whilst everyone prepares for a night of dancing and feasting at the harbour. Something worth witnessing and plucked faithfully from the traditions of the past. Villa Thea can be rented from Villa Select a UK based travel company with a well deserved excellent reputation. Deborah, their agent, will ensure that all goes well and is on hand to help with any questions you may have. A week at Vila Thea is a fantastic experience and to be recommended to anyone who need to relax and reconnect with their soul, their families and the traditions of old Greece. I love Greece and the islands! !